Do you want to update your bathroom? Choose our Dorset bathroom design service for a bathroom that is tailored to you. Our expert designers have an unrivalled attention to detail that is in high demand across Dorset. Don’t settle for anything but the best when it comes to improving your home. If you have always dreamed of having your dream bathroom, make it a reality with 42 Construction. With over 20 years’ experience in the industry, we have turned hundreds of bathrooms into sanctuaries where customers look forward to beginning and ending their days. Don’t be put off by the time and costs that you may have to invest in a new bathroom as we provide a quick and affordable design service. It is important to take layout into account when redesigning your bathroom in Dorset. Our team will measure up the size of your bathroom and make the most of the space you have available in the design process. We can give suggestions on how to make your bathroom appear bigger and brighter using tried and tested design techniques. Click here to find out more about our Dorset bathrooms service. 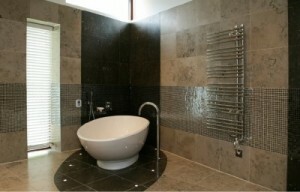 Why choose our bathroom design service? At 42 Construction, we take pride in providing Dorset customers with a comprehensive and high-quality bathroom design service. When a bathroom has been well-designed and everything has been planned to work together, it is guaranteed to last longer. It is therefore worthwhile investing in our design service before choosing a suite and installing it without any professional advice. Our work does not stop until you are 100% satisfied with your Dorset bathroom design. We will make as many adjustments and edits as you require before going ahead with the renovation. No matter what your requirements, our design team will always go above and beyond to create the bathroom of your dreams. We have an excellent reputation for surpassing the expectations of our clients. A great deal of our customers recommend our bathroom design services to family and friends which has led to us building up a large client base across Dorset. Whether it’s an ensuite or family bathroom you plan to redecorate, you will not be disappointed with our designs. We always deliver designs on time so that our service does not interrupt with the rest of your bathroom renovation. All designs are given with precise dimensions to ensure the most accurate results when it comes to fitting your new bathroom suite. Our bathroom design team cover all areas of Dorset so, wherever you are based in the county, do not hesitate to get in touch with 42 Construction. If you have any questions regarding our Dorset bathroom design service, call 42 Construction on 07891 597 416 or send an email to 42constructionltd@googlemail.com.